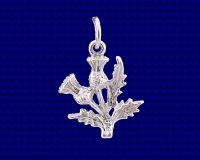 Sterling Silver Scottish Piper charm. This charm depicts a Piper playing the traditional bagpipes, an image which everyone associates with Scotland. 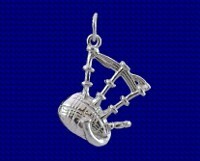 Craftsman made Sterling silver Scottish Piper charm. Approx. size 13mm x 30mm.